On July 10th, 2018, MI6 and other Bond fans from Europe were invited to the opening of 007 ELEMENTS. 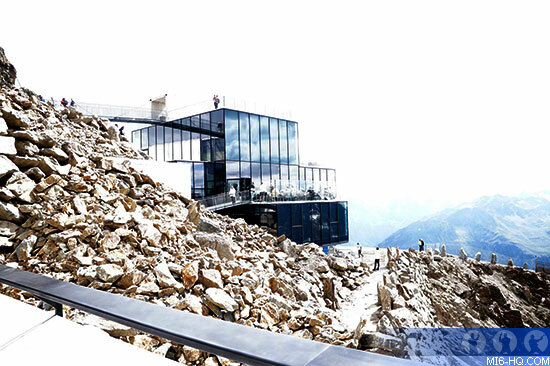 This new James Bond cinematic installation is built inside the summit of the Gaislachkogl Mountain in Sölden, Austria, where the spectacular winter scenes in 'SPECTRE' was shot back in 2015. Located over 3,000m above sea level, it is the highest visitor experience of its kind. After being transported in cable car to the middle station, where the original Range Rover Sport SVR from SPECTRE was exhibited, a second cable car transported us to top of the mountain. And what a stunning view! We arrived at the Ice Q restaurant, where we were welcomed by Neal Callow, Art Director on every Bond films since Casino Royale. Also presents were Jakob Falkner, Managing Director of Bergbahnen Sölden, Tino Schaedler, Head of Design Optimist Inc., Hans Obermoser, the architect of 007 ELEMENTS and Meg Simmonds, EON's Archive Director. Callow and Schaedler guided us through 007 ELEMENTS’ nine galleries, which represents key elements of the Bond universe. 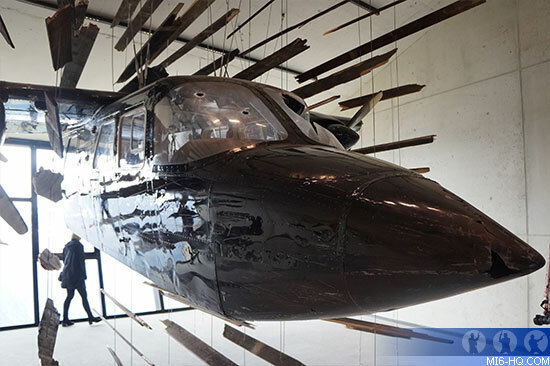 The installation focuses on SPECTRE, but also celebrates the legacy of the James Bond films. For example, the architecture is very inspired by Sir Ken Adam’s ground-braking design, and the style inside the galleries are reminiscent of Maurice Binder’s innovative title sequences. Some of the galleries are also directly inspired by movie sets, such as the Mirror Room (which reminds one of Scaramanga's fun house in 'The Man With The Golden Gun') and the Tech room – very much like Q's lab. Also featured in one of the galleries are several props from the movies, such as four James Bond OMEGA watches (including the Seamaster 300 from SPECTRE), Bond’s piton laser gun from 'GoldenEye' and the ski stick Roger Moore used in the pre-titles sequence of 'The Spy Who Loved Me'. The creative team has created a jaw-dropping, beautifully designed, innovative and really impressive Bond experience, which made me feel like agent 007 – at least for a few hours. Visit 007elements.com for more information and to book your trip. Morten Steingrimsen runs jamesbondmagasinet.no, has traveled the world attending different James Bond events, and is the author of articles on the subject for several film trade magazines and websites. 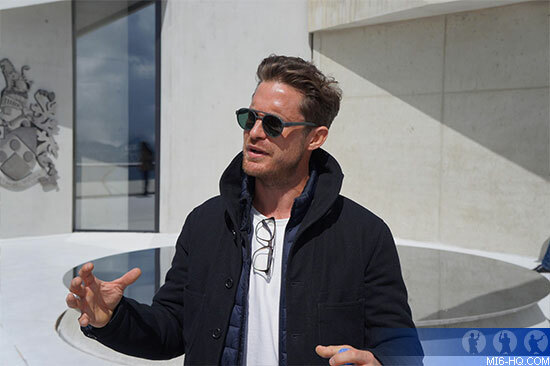 He is also the organiser of several Bond events, including the 50th Anniversary of Goldfinger in Oslo 2014 and the Bond girls celebration in Oslo 2015.